OWS supporters believed their movement against the bank bailouts and their support of many fiscal liberal causes would have a deep impact in the minds’ of lawmakers who would respond to the numerous occupy demonstrations across the United States. However, as the crimes and drug use associated within the occupy encampments continued to grow, their already vague message became marginalized. In the end, their encampments were dismantled, the protesters were evicted by the order of local liberal mayors, and nothing politically changed after two months of living in squalor among each other. The New York City Sanitation Department was finally able to disinfect Zucotti Park. On the other hand, Mr. Schweizer, with the help of his research team, after two years of exhaustive data mining, managed to disinfect Capitol Hill and place sunlight on the fact that members of Congress do not have to play by the same insider trading laws that every other American must abide by. He showed how lawmakers on both sides of the aisle make millions by knowing how legislation they are involved in crafting or blocking will affect stocks they either buy or dump, for example. House Minority Leader Nancy Pelosi, California Democrat, is on the defensive over a huge profit she and her husband made through Visa stock they bought. House Speaker John Boehner, Ohio Republican, was trading healthcare stocks during the 2009 health care debate. Bothe denied that their legisaltive actions on the hill had anything to do with any of their financial decision making. As a result of Shweizer’s book, two bills in both chambers are already circulating around hill which would prohibit lawmakers from financially profiting from insiders’ information from legislative activity they’re involved in. Not bad for an author whose book has only been out for two days. Is there any way to find out the rate of personal financial growth for each member of the congress before being elected ,during the term, and after retirement. Election without term limit is like a fiefdom and its not democracy. I would like to see a list as well. If the country started really dealing with money in politics I don’t think term limits would necessarily be needed. It would be a shame to loose the institutional knowledge that could actually help the country. Just curious, would you make the same argument for the executive branch? Enjoyed your interview on Hannity. Would be interested in knowing who in government stands to gain by the re-routing of the TransCanada Keystone Pipeline. Does not pass the smell test. Thanks for your efforts. Thank you, Mr. Schweizer. Honesty and integrity belong on both sides of the aisle. Just finished your book, it just makes my skin crawl. We need term limitations and people like Kerry and Pelosi should be in prison. Thank you for your service and if we can help please let me know. Such conduct might not violate US laws (which is hard to believe since the criminal conspiracy law is so broad and Rule 10b-5 so vague), but could the trades violate the laws of the European Uniuon. Just finished “Throw Them All Out” and can’t thank you enough for all you do to keep The People informed. I will be recommending this read for all my family and friends. 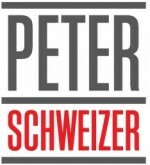 Dear Mr. Schweitzer, Bravo! What a brave and solid effort…and you!! shone a light into the inner sanctum of our corrupt system. My family, several branches of, benefitted from wierd laws, inserted in bills and never made an issue, whereby billionaires (like my family) avoid estate taxes for what can be 50 years. Dollars delayed going into the public’s tax coffers, really screws the public and permits the very, very rich to keep their wealth untaxed for so long that it’s almost like avoiding inheritance tax completely. I can list other rip-offs of the public, and some are illgal but rarely challenged; like building depreciation, phony sale of a building (not at arm’s length) to continue depreciation. I have come to realize that the two “professions” entrusted and empowered to maintain a clean American business grid are lawyers and accountants. These two state licensed professions are the financial doctors whose infection has tainted all of what you mentioned and all the corruption I can identify. It’s like a corrupt police force doesn’t mean the citizens are going to pillage and plunder, but many will and eventually The French Revolution happens when people, Joe Schmoe, realize there is no official protection of the normal fellow. The Florida Bar is putrid with corruption into the top (I can explain). The NY State CPA Society and state overseeing is feeble at best. The real fun is to look at the Skadden, Arps type law firms and how state Bar Associations protect dishonest lawyers. Since CPAs and attorneys are like ants on capital’s bread, how about setting-up a peoples’ ethics movement and starting our own TV channel with 24 hour revolutionary coverage? My father-in-law was Robert Sarnoff and if he were alive today I’d ask him how, with computers and TVs with 1,700 channels, there isn’t a Peoples’ Channel, with ongoing revolution-for-good intellectual discussions and reportings like people like yourself. Jerry Rubin was a close friend. Where is the hutzpah? Are we all just armchair complainers? Thanks for your book, sir. By the way, The World Bank Building sits on valuable land in Washington DC. Building and land are owned outright, no mortgage, by my cousins. Worth $600,000,000. it will pass untaxed for est. 50 years because of a “legal loophole”….and so will 300 other properties, ALL hidden within generation skipping trusts. My family’s trusts are similar, though much smaller, and the trustees, sibling attorneys and a CPA, simply refuse to file legally required accountings, broke-up the trusts, yet will still claim trust protections for 50 years! Just no teeth in laws or no laws or no appetite of judges to call them out.